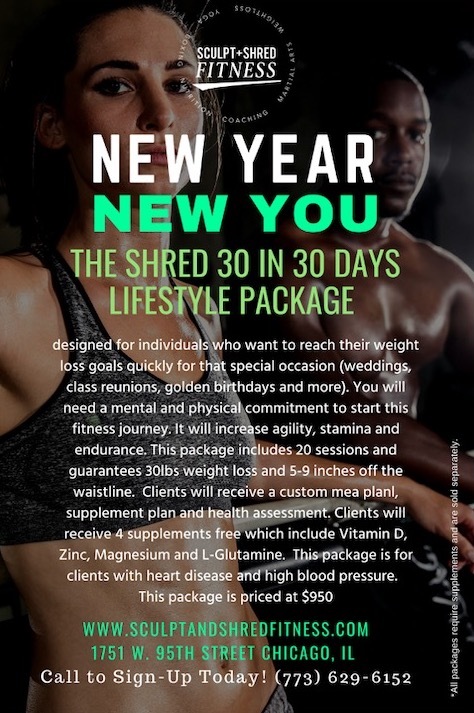 The Shred 30 in 30 days Lifestyle Package is designed for individuals who want to reach their weight loss goals quickly for that special occasion (weddings, class reunions, golden birthdays and more). You will need a mental and physical commitment to start this fitness journey. It will increase agility, stamina and endurance. 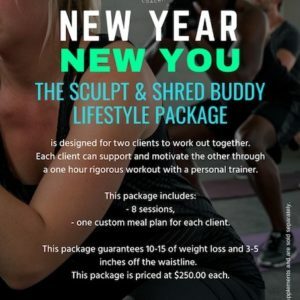 This package includes 20 sessions and guarantees 30lbs weight loss and 5-9 inches off the waistline. 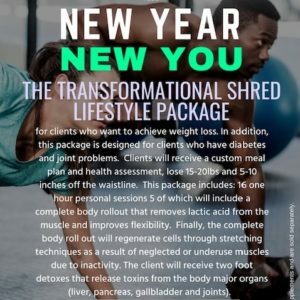 Clients will receive a custom mea planl, supplement plan and health assessment. Clients will receive 4 supplements free which include Vitamin D, Zinc, Magnesium and L-Glutamine. 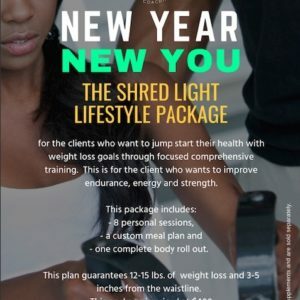 This package is for clients with heart disease and high blood pressure.